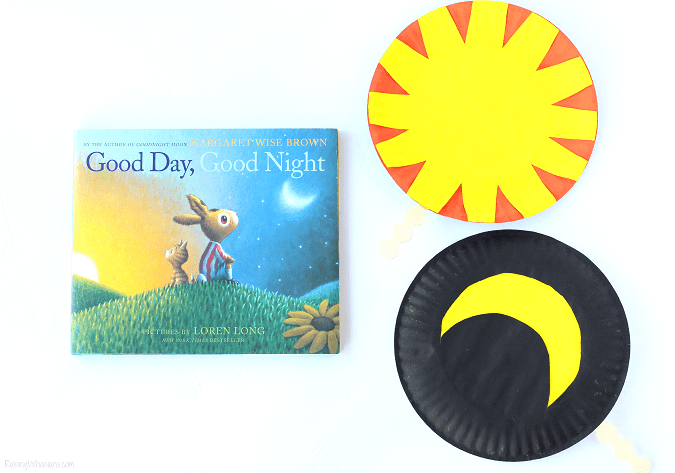 Celebrate the newest book release from the creator of Goodnight Moon with this Good Day, Good Night Paper Plate Craft. This post is sponsored by HarperCollins. All crafty opinions are my own. 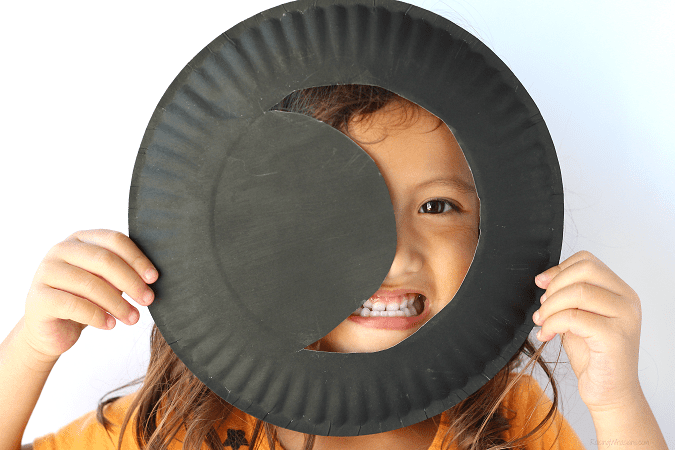 There’s something so sweet and timeless about making paper plate crafts with my kids. Always classic and perfect for involving little hands, I love making themed crafts to go along with some of our classic bedtime stories. And now we have a new classic book to add to our collection. From the author of Goodnight Moon, Margaret Wise Brown’s familiar words return in the companion book that your family will love. 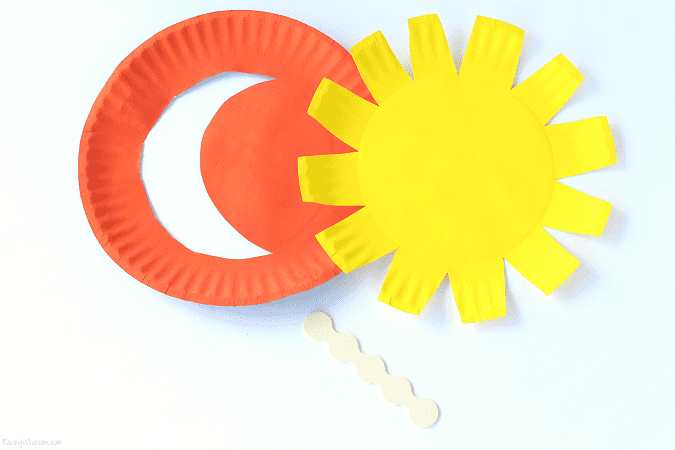 Good Day, Good Night has had an instant impact on our family’s bedtime stories, so much so that we dug into our timeless crafting supplies to create this inspired Good Day, Good Night Paper Plate Craft. 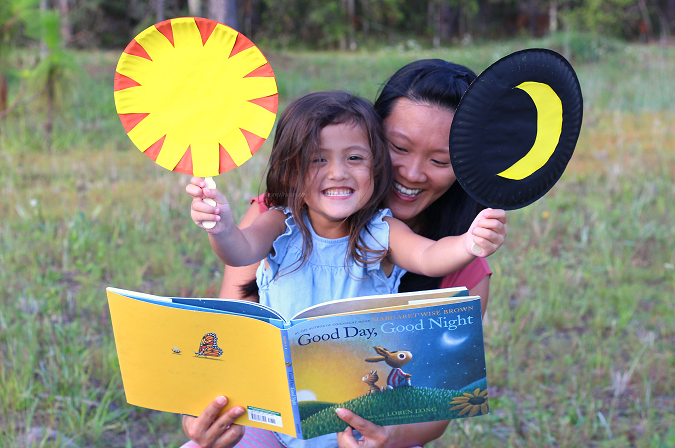 Make your own flippable day to night puppet and be sure to scroll down for a fun giveaway! Goodnight Moon was a pivotal book from my childhood, one that I remember reading with my parents and one that I now cherish as a parent. Those illustrations from illustrator Clement Hurd? Classics! And now 70 years later, Margaret Wise Brown’s wise and sweet words are back in the companion book our childhoods are missing. Good Day, Good Night is the newest book from Margaret Wise Brown, the unpublished work that is now an instant family treasure. The beautiful illustrations from Loren Long really help to capture the essence of Margaret Wise Brown’s words. Reading this book with my daughter is like revisiting an old friend. Happy, safe, warm, familiar. Take 1 plate and paint the front and back in yellow. Allow to dry. Paint the front of the 2nd plate orange. Paint the back of the plate in black. Allow to dry. When dry, take the orange/black plate and cut out a crescent moon shape out of the middle (use the inner circle as a guide). Avoid cutting close to the outer ridged area. Take the yellow plate and cut out small triangles out of the ridged area to create a sun shape. Glue the yellow plate on top of the orange/black plate, adding your popsicle stick in the middle, as shown. Allow to dry. VOILA! 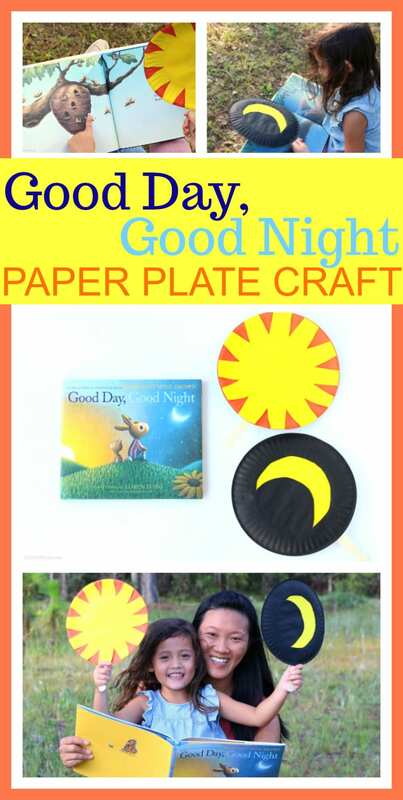 You have a wonderful day night paper plate craft, perfect for reading the new Good Day, Good Night book together! to the other as you read about daytime and nighttime in this adorable new kids book. Be sure to download this FREE Good Day, Good Night Activity Book for more Good Day, Good Night themed activities too. the new Good Day, Good Night book has the classic appeal of parents and kids alike, all from the words of Margaret Wise Brown. 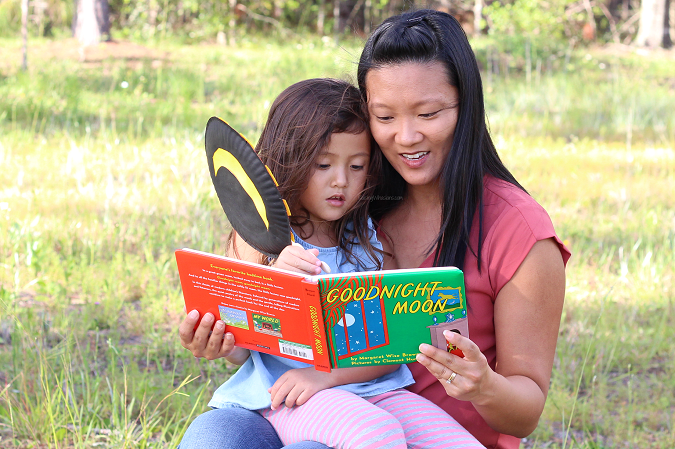 Add this storybook to your Goodnight Moon collection and enjoy more sweet reading moments with your kids. Check out this trailer to get a sneak peek inside of Good Day, Good Night. Good Day, Good Night Giveaway! 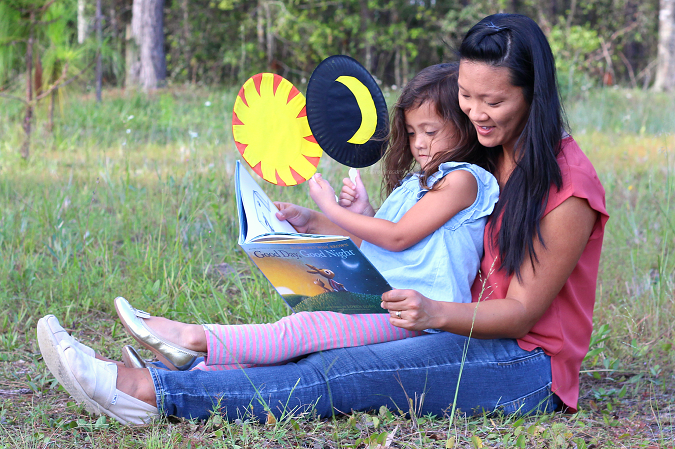 Goodnight Moon book – always a classic! Disclosure: This giveaway is sponsored by HarperCollins and KidsPreferred. Raising Whasians is not responsible for prize fulfillment. One winner will be randomly selected using the Rafflecopter random selector and will be notified via email. Once notified, the winner will have 24 hours to respond or a new winner will be chosen. This giveaway is in no way associated with Facebook, Twitter, Instagram, Pinterest or Google. Void where prohibited. This disclosure is made in accordance with the FTC 10 CFR, Part 255 Guides Concerning the Use of Endorsements. Be sure to follow Raising Whasians via Facebook, Twitter, Google, Instagram, Pinterest and YouTube for more of your favorite giveaways! I would share the Good Day, Good Night book with my great nieces. I will share it with my son! 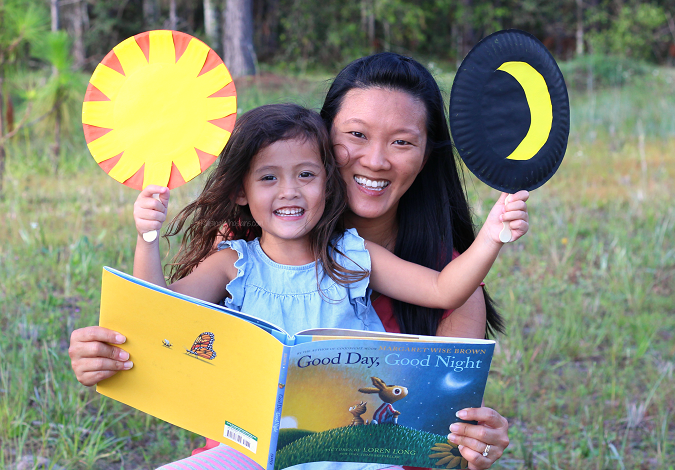 We love Goodnight Moon. I will share this prize with my cousin’s new baby for Christmas. 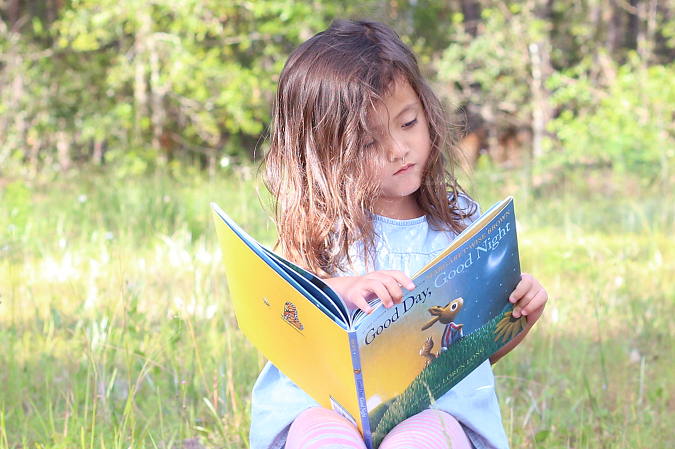 I would share Good Day, Good Night book with my granddaughter! I would share the book with my grandchildren. I would share this book with my grandchildren. I’d share this book with my granddaughter. I would love to share this with my 16 month old. She loves picture books and I love reading to her. I Would love to gift it to my 3 baby girls . I would share the books with my nieces. We love to read together. I would share it with my 5 year old daughter. I would love to share this book with my five year old granddaughter, Nellie. I would share it with my two little grandsons. 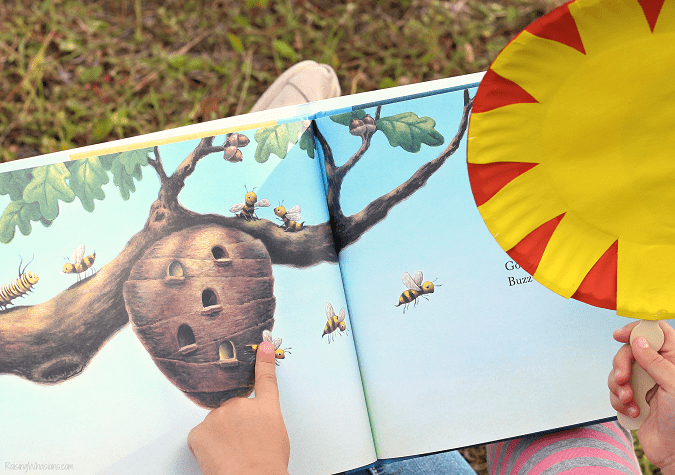 I would share it with my two little ones…they love reading new and exciting books. Our friends had a baby last week – I’d love to start off her library with some classics! I will share this book with my cousins. I would share them with my little granddaughter. I would share with my great nephew. I would share these books with my grandson. If I won, I’d share the books with our family. My kids love this craft idea. I would definitely have to share with my son and daughter. I looove Goodnight Moon, I can recite it without the book nearby. I read it to my son every night, so this book would be perfect for my daughter. 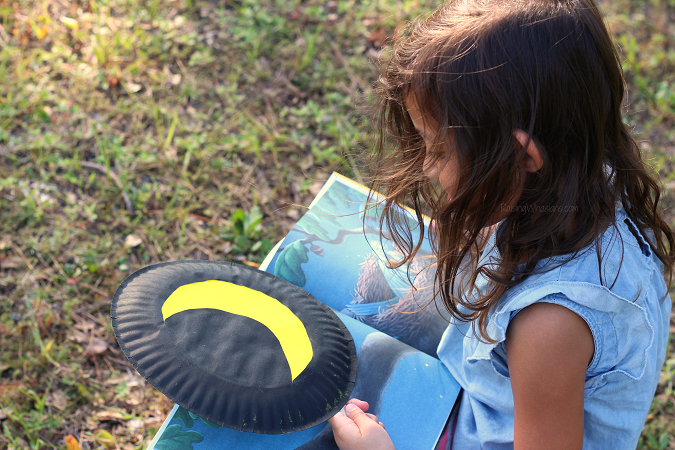 We read every night, and of course Goodnight moon is apart of our arsenal of books, but this would be perfect! Would share with Baby Mark & Little Princess. I would share the Good Day, Good Night book with my baby niece! I will share this prize with my niece for Christmas. My little guy who is 2. I would share with our Little Library. This book will be read by all of us and we will truly enjoy sharing it with our grandchildren. Very excited about the chance to win this book! My son!! We are avid readers so are always in need of new amazing books to read! I would share the new Good Day, Good Night book with my two year old daughter. I would share the book with my kids they would love it. I would share it with my daughter! We would also make the craft too, what a cute idea! I’d give this to my friend who is currently expecting. I’d share this book with my nieces, Giana and Ayala. Thanks. I would share it with my daughter 🙂 She loves to read, and we always read at least one book together before bedtime. i would share this book with my daughter. We read a book every time she goes down for a nap and bedtime. I would share this book with my daughter. She loves Goodnight Moon and I’m sure she will love this one as well. I would love to share this book with my toddler son! I would share with my youngest little..
i would share this book with my daughter. we would enjoy it. would share it with my niece! I would hare it with my sweet nephew. This would definitely be for my grandson! This would absolutely be given to my great nephew!! I’d share this book with my 4 kids. They love to have me read to them. 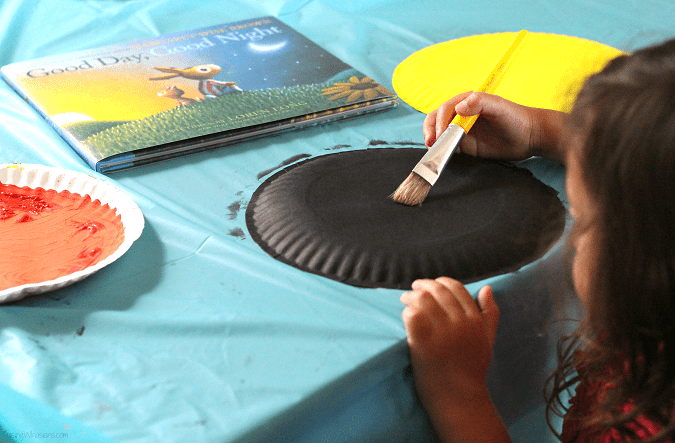 Making the paper plates to go along with the book would be a fun craft as well. It would help them keep along with the book and feel involved. I would love to share this book with my granddaughter! I would share this with the twins. Then they can learn to share with each other. Would like to share this book with my great niece. I have a granddaughter on the way. I can’t wait to read to her! And this book will be perfect! I’d love to share this with my niece. Goodnight Moon was one of my favorite books as a child. I’d share the books with my great nephews Aaron and Cooper. I would share this with my nephews. My nephews would like this book. I would surprise my little cousin with it, she loves to have bedtime stories read to her so I know she would love it. I would share this book with our little girls. I would love to share with my little cousin! I would share this book with my youngest daughter. I would share this wit both my son and daughter.